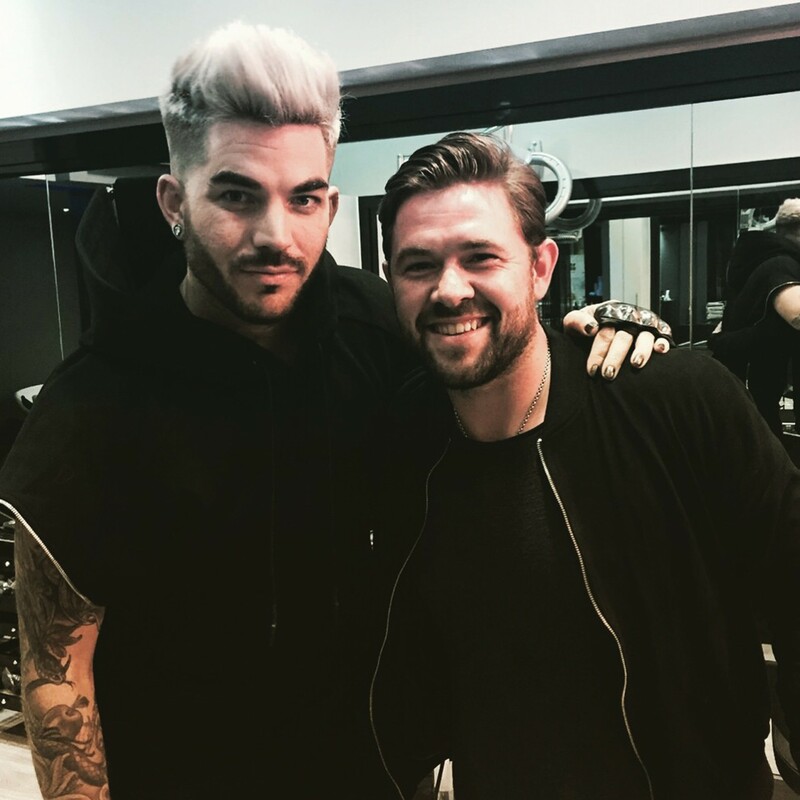 Best Men’s Hairdresser of the Year (Hair Awards 2016) and Artistic Director at Jamie Stevens, Jonathan Andrews recently welcomed Adam Lambert into the salon for a cut whilst he’s in London on his Original High tour. Clients of Jonathan’s include James Arthur, Union J, Oliver Proudlock and the cast of Made In Chelsea, The Loveable Rogues and Calum Best. Jonathan said of the current Queen frontman and American Idol runner up, “It was an absolute pleasure to have the very talented Adam Lambert in the Jamie Stevens salon to see me for a haircut! We went for a perfect summer look; with the lighter blonde hair on top I took the sides and back a lot shorter with a soft, tapered fade. I left the top disconnected to allow us to keep more length on top to allow Adam more versatility with styles. It’s perfect for someone touring who needs more than one look in their bag. For this look, taper the sides and back, working up to the first roll point of the head. Then the top longer and disconnected before adding layers and texture in through the top to allow the creation of lots of different looks. An Evening with Jamie Stevens and Lucy Choi British Hairdressing Awards 2012 Finalists The BRITS 2014 – Red Carpet Styles Meet Lorna Griffiths Going to Glasto? Visit the pop-up Salon!